Edward J. Benz, Jr., M.D., is the Former President and Chief Executive Officer of Dana-Farber Cancer Institute, Chief Executive Officer of Dana-Farber/Partners Cancer Care, Principal Investigator and Director of the Dana-Farber/Harvard Cancer Center, Director of the Dana Farber/Brigham and Women’s Cancer Center, and a member of the Governing Board of the Dana-Farber/Boston Children’s Cancer and Blood Disorders Center. 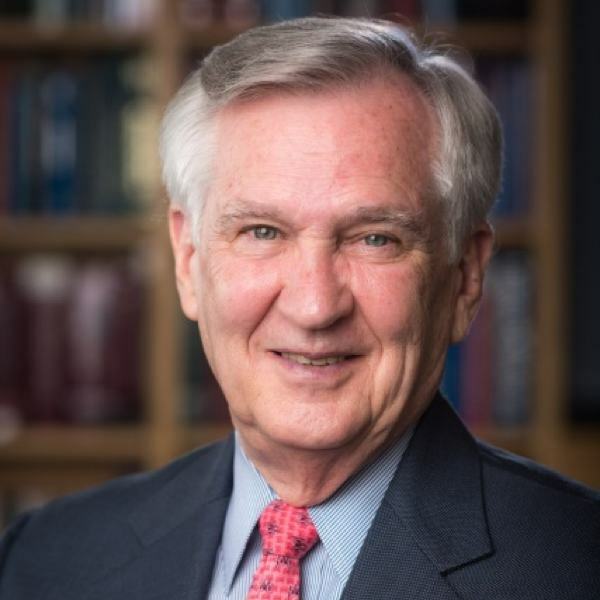 He is also the Richard and Susan Smith Professor of Medicine, Professor of Pediatrics, Professor of Genetics and Faculty Dean Emeritus for Oncology at Harvard Medical School. An internationally-recognized hematologist, Edward has authored more than 300 peer-reviewed articles, reviews, chapters, and abstracts. His accomplishments have been recognized by a number of distinctions, including membership in the Institute of Medicine of the National Academy of Sciences, the Association of American Physicians, and the American Academy of Arts and Science. Edward is a graduate of Princeton University and Harvard Medical School. He received his training in internal medicine and hematology at Brigham and Women’s Hospital, the Children’s Hospital of Boston, the National Institutes of Health, and the Yale University School of Medicine.